T&D Engineers assisted Aque Investments with the replacement of an existing 175 ton chiller with a new 175 Ton Chiller. United Services was the installing contractor and they installed a new Trane chiller in place of the existing York Chiller. 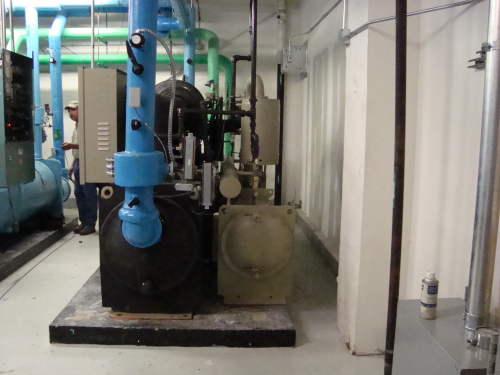 New controls and control valves were installed and are controlled by the building’s Energy Management System. T&D Engineers assisted the owner with Center Point Rebate Documentation which led to a rebate amount that essentially covered the cost of all engineering services for the project.